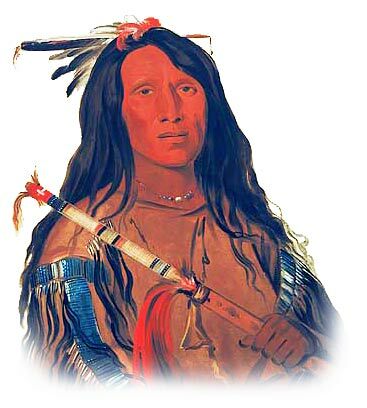 The Cheyenne are an Algonquian-speaking Indian tribe of North America. Until the late 17th century the Cheyenne lived as farmers in Minnesota. They were subsequently pushed by Sioux tribes to the Central Plains of South Dakota. By the late 18th century the Cheyenne had become nomadic bison hunters. The Great Plains include Nebraska, Iowa, Kansas, Missouri, southeastern Wyoming, and western Colorado. The Cheyenne settled in the Black Hills of South Dakota and in present-day Montana. 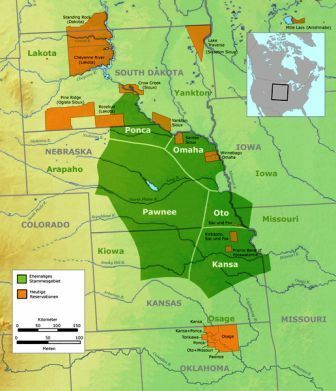 The Cheyenne Land that became home to the tribe were the Great Plains Indians as indicated on the Great Plains map. This area had been occupied by the tribe before the arrival of the Europeans. The Cheyenne had never experienced the way of the Europeans especially in relation to the subject of Land Ownership. The ownership of Cheyenne land became the source of the bitter conflicts between the white European settlers, the U.S. and the Native American Indians. The Cheyenne Native Americans lived in harmony with the land which was emphasized by the their culture, religion and beliefs. The idea of an individual person having exclusive use of a particular piece of land was completely alien to Native Americans. The Cheyenne fought, as communities, with other tribes over hunting rights to their territory. But the "right" to the land was very different from the legal terms understood by the white settlers relating to individual ownership. The Cheyenne Indians had no concept of "private property," as applied to the land, but were soon to experience this European idea, through the constant encroachment on the tribal territories and Cheyenne land. In 1832 the tribe split up into the Northern and Southern Cheyenne. The American Indian Wars is the name used in the United States to describe a series of wars, battles and conflicts between American settlers or the U.S. army, and the Native American Indians before and after the American Revolutionary War. In 1851 settlers began seizing the lands of the Cheyenne. A Treaty was signed with the Cheyenne in 1861 and the Cheyenne agreed to live on a reservation in SE Colorado, but the U.S. government did not fulfil its obligations, and they were reduced to near starvation leading to bitter conflicts including the Sand Creek Massacre in 1864 when Colonel John Chivington and his Colorado Volunteers massacred Cheyenne and and Arapaho men, women, and children. Battle of Beecher Island was a conflict between the United States Army and several of the Plains native American tribes, including the Cheyenne Indians in 1868. The Battle of Summit Springs was the final military engagement between whites and plains Indians, including the Cheyenne in Colorado. The Sioux and the Cheyenne joined forces and fought in the Battle of Little Bighorn in 1876 against General George Armstrong Custer. Cheyenne resistance was broken in 1877, and the survivors confined to reservations in Oklahoma. Plagued by disease and malnutrition, the Cheyenne made two desperate attempts to escape and return to the north. A separate reservation was eventually established for them in Montana. The Dawes General Allotment Act was passed by Congress in 1887 which led to the break up of the large Indian Reservations and the sale of Indian lands, including Cheyenne lands to white settlers.